Young Farmer’s Dream. Check out this 54.46 +/- acre farm with agricultural and development possibilities in desirable Alloway Township, Salem County. 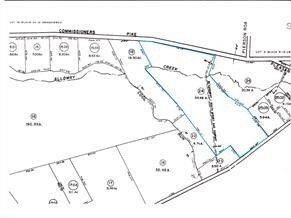 This property is in the A (Agricultural) zoning district and has road frontage on Stockington (663′) and Commissioners Pike/CR 581 (1470′). About 30 acres are clear and tillable with the remainder mostly wooded. 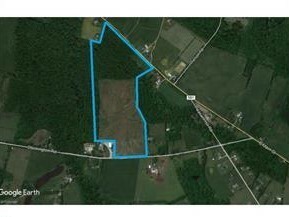 Low property taxes ($666/year) and great soil types (predominantly Woodstown and Alloway loam). Close proximity to SR 77, Route 40 and Route 49. Invest in future today.